Find your ‘difference’ and sell it: this was the advice that Joe Duffy gave to DCU media students on Monday. 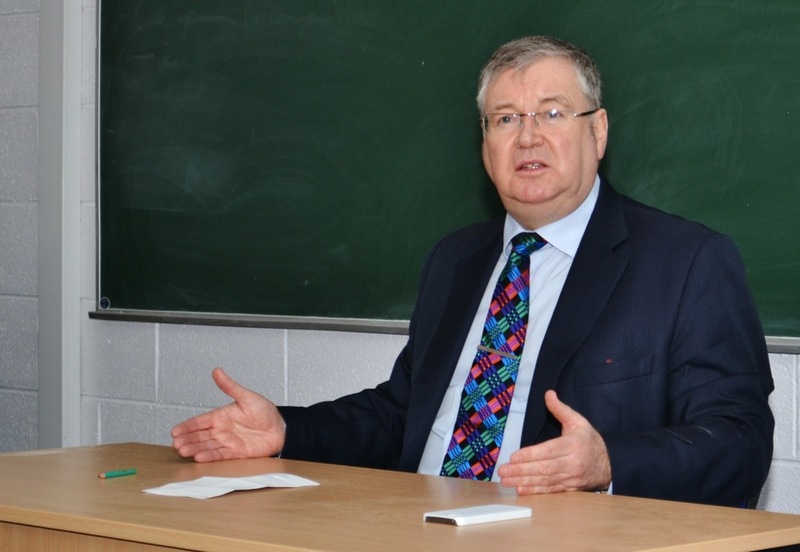 The RTÉ Liveline presenter regaled stories about his media career at a talk and Q&A session hosted by DCU JournoSoc. Joe gave words of assurance to students who are hoping to break the media industry. If they have the passion and the interest, he said, they are already on the road to success. Joe’s beginnings in journalism happened by accident, he said. After some years spent as a social worker, he applied for a Radio Producer position at RTÉ. He believes that he was accepted into the training programme because he set out his ‘difference’ in the interview. Joe joined Gay Byrne’s show after some time as a producer. He was tasked with going out, talking to people, and gathering conversation. Joe said that his experiences while travelling the country during this time were highly valuable. In the trade of journalism, he said, everything you do and see will become useful in the craft. After eight years with Gay Byrne and four years on Drivetime, Joe was installed as the host of the Liveline phone-in show. The ‘difference’ about Liveline, Joe said, is that it gives a platform to people who don’t have one. He sets out to achieve clarity, rebuttal and engagement during the programme. Students asked Joe about how he maintains objectivity, to which Joe said that he could not name a caller that he disliked. He appreciates every caller to Liveline, he said. However balance and objectivity are not always necessary, Joe said.